Discussion in 'Lets Talk about gambling and more...' started by Marina, Dec 20, 2014.
myths to rest once and for all. Here are seven of the top misconceptions about online gambling, as well as sources that back up the truth. There is no evidence that shows this to be true. In fact, studies indicate that the availability of online casinos does not increase the number of problem gamblers. Moreover, gambling regulation agencies require operators and developers to provide players with tools for responsible gaming and safe play. including research from Cardiff University, a paper requested by the European Parliament, and other recent information all indicate that money laundering is not a problem in regulated gambling. Moreover, many jurisdictions have strict requirements that must be followed to ensure it doesn’t happen. All regulated markets have checks in place to ensure kids are not allowed to gamble. The UK Gambling Commission actually performed “mystery shopper” tests to verify if the safeguards were present and effective. They were. protection against poor business practices, responsible gaming options, and other necessities. knowing that the companies will be held accountable for their actions. When regulated casinos exist, people gravitate to them due to the protection they afford. probability of allowing them to win money. In regulated markets, the random-number generators and games are all tested by third-parties to verify they are random and fair. Although they could be considered “rigged,” it’s actually done to ensure fair payouts. underage gambling, plus it works to create a better environment for players. 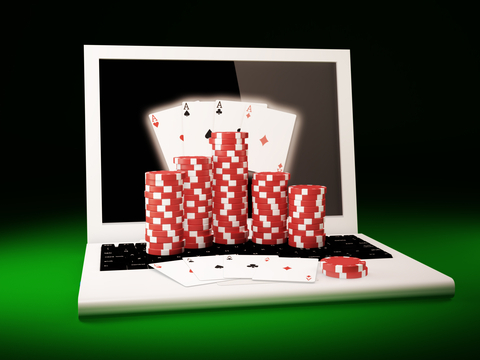 Right now the world is seeing some drastic changes in the laws surrounding online gambling. Some countries are tightening laws, while others are relaxing them. Without a doubt, there will be more case studies in the future which verify the safety and security of online casinos. Ellis, Mike and Djinn777 like this.